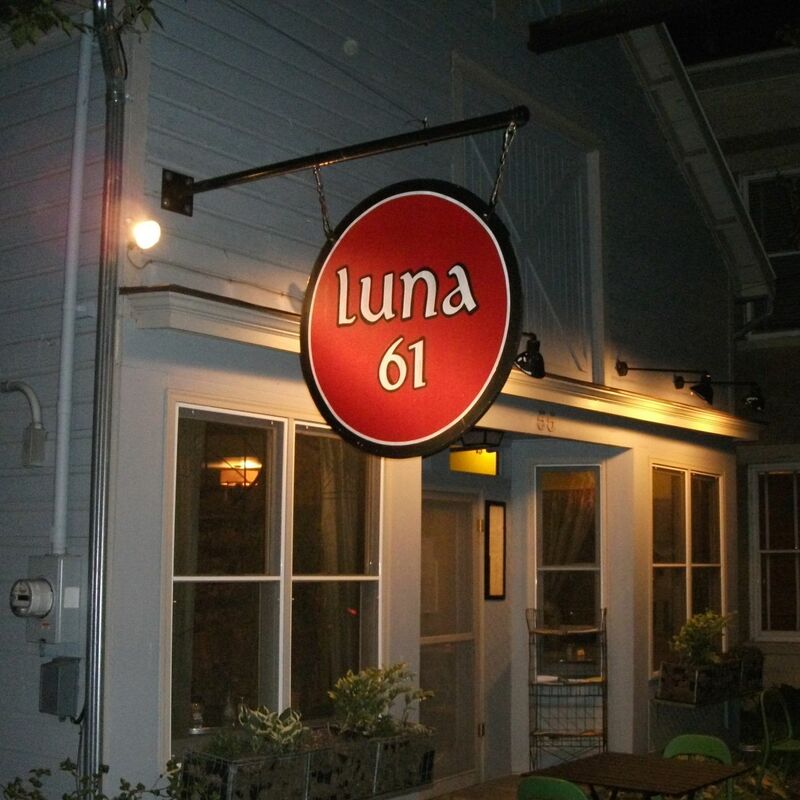 After a recent meal at Luna 61, a 17-year-old eclectic vegetarian restaurant in Tivoli, New York, I was pleasantly surprised to discover that husband-and-wife owners Debra and Peter Maisel, were able to deliver what I hadn’t been able to find in Manhattan: clean Asian-inspired fare. Over the years, visiting friends have asked: “What are your favorite Chinese restaurants in NYC?” They’re always taken aback when I can’t offer recommendations. Christopher and I don’t eat at Chinese restaurants anymore. Not that I have anything against Chinese food! After all, this is my cultural cuisine: it’s what I grew up eating. Both my parents were excellent Chinese cooks—the toast of every dinner party they threw—but their food, meticulously selected and prepared, highlighted fresh ingredients. Most importantly it was “clean”. 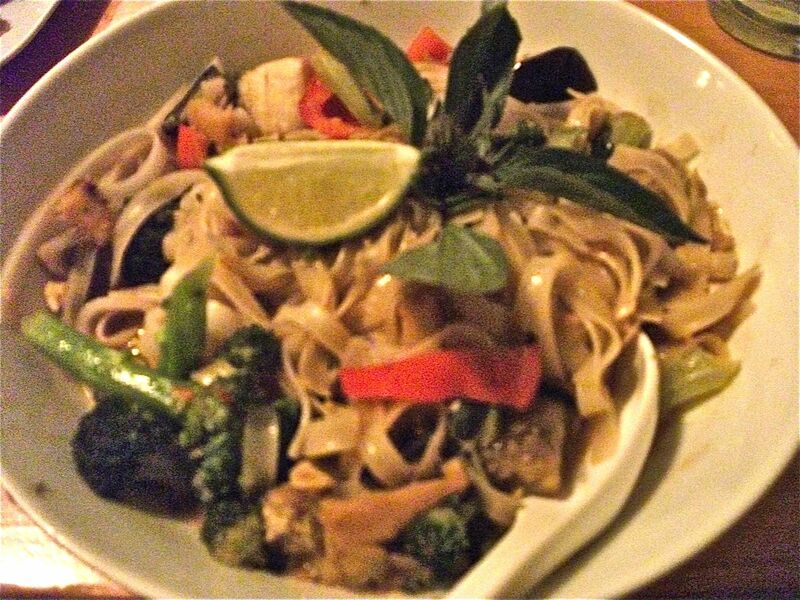 So, during a recent review meal at Luna (my review here: http://bit.ly/RHOLuna61), it was with some trepidation that I ordered one of their signature dishes: the Bangkok Curry Tofu, a stir-fried medley of organic vegetables over rice noodles in a “Thai coconut curry sauce”—hmmm, I couldn’t help wondering about that sauce. My apprehension, it turns out, was groundless. Every mouthful had a distinct delectable bite, fueled by Thai chilis, lemongrass, curry paste and galangal, a rhizome related to ginger. Though there was a hint of tamari, the dish omitted fish sauce, which contains loads of sodium. The flavors were fresh, balanced and deliciously savory. Debra confirmed that her husband, who trained at the Natural Gourmet Institute, never uses store-bought Asian condiments—the couple make their own. I confess: even after Debra shared this with me, I unconsciously braced myself for a skull crusher and a sleepless night. It never came….and I slept like a baby. This entry was posted in Health, Hudson Valley, Restaurants, Wellness and tagged Hudson Valley vegetarian restaurant, Luna 61, Tivoli. Bookmark the permalink. Kudos to Debra and Peter Maisel. How wonderful that they make a conscious effort to offer delicious options for those of us who WANT to eat healthfully–and who to feel GOOD after dining out. Wish more restaurants would follow their lead. Lucky you to have discovered a treasure in your backyard!